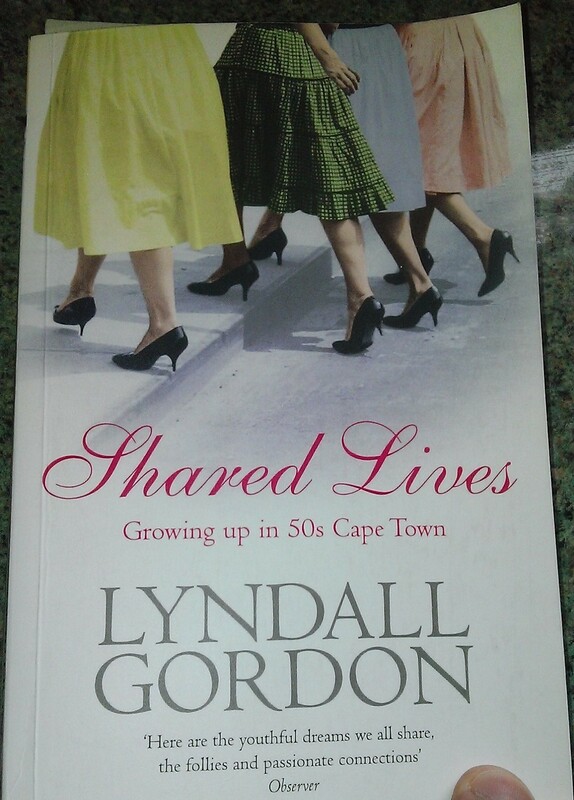 This book is the story of a group of girls who grew up in Cape Town in the 1950s – mostly Jewish girls, with some extracts of life in New York in the 60s – written by Lyndall Gordon, who lectures on English literature (Virginia Woolf, Bronte, T.S. Eliot, etc). The people in the book are a little older than myself. I wondered what attracted me to this book, as it’s not my usual cup of tea, but nevertheless I found it an enjoyable description of a largely forgotten society I knew nothing about. Last night we went to The Lyceum to see a Yellow Jersey Press event where Ned Boulting, Tim Moore and Richard Moore discussed various aspects of cycling, especially Le Tour De France. Tim Moore wrote what is probably the funniest book ever, which I mentioned some time ago. I’ve also written about his book on Le Tour. Now he has a new title out: Gironimo! : Riding the Very Terrible 1914 Tour of Italy, which I’ll read some time soon. I haven’t read any of the books by the other authors who spoke last night, but it was an enjoyable evening. 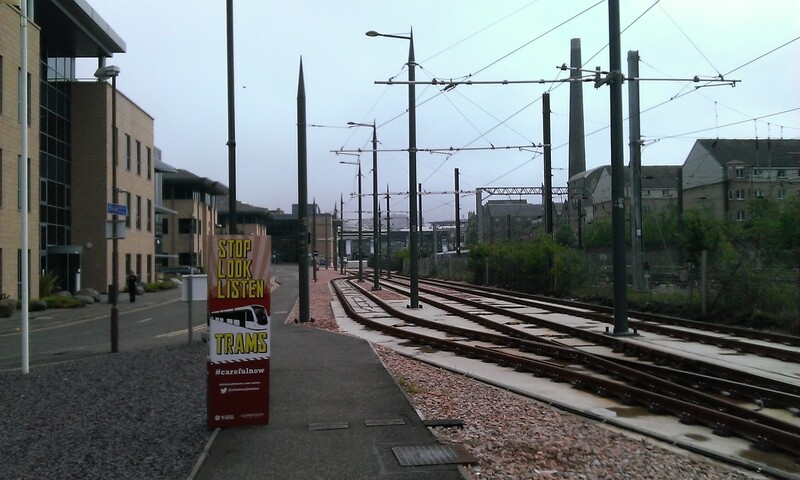 Inspired by all the talk about cycling, I did a (for me) fairly long ride today, over to Leith, down to Ocean Terminal, onto the wonderful Edinburgh cycle tracks and over towards SilverKnowes, back past Murrayfield, up to Haymarket, across to Gorgie, then up to Polwarth, on to the Meadows and back to Porty via the Innocent Railway Path. It’s only when you’re on a bike that you realise how leafy Edinburgh is. Two years ago I planted some potatoes in the garden, and there was a good harvest. Last year, potatoes grew even though I didn’t plant any – I must have missed harvesting some of the previous year’s crop. This year I dug the patch quite carefully and dug down deeply, looking for any missed potatoes from last year, and there were several. 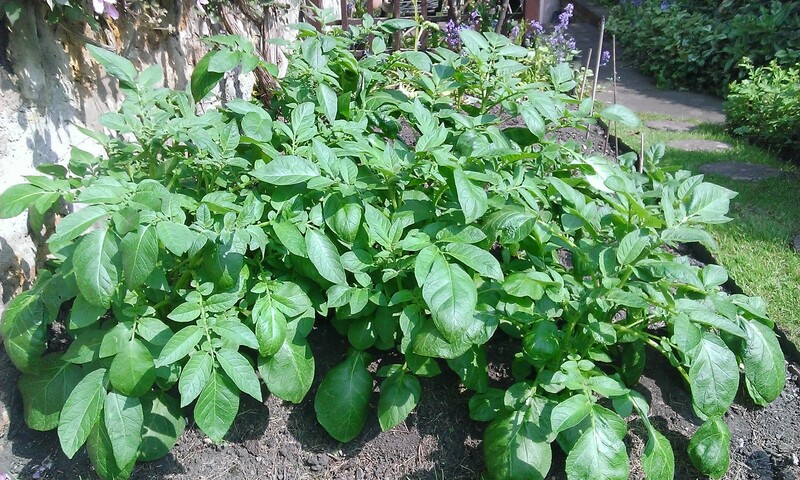 Despite that, I must have missed some others, as potatoes have once again started to grow. I moved them into two rows, but yet more have begun to grow elsewhere. It seems that I’ll have potatoes forever. 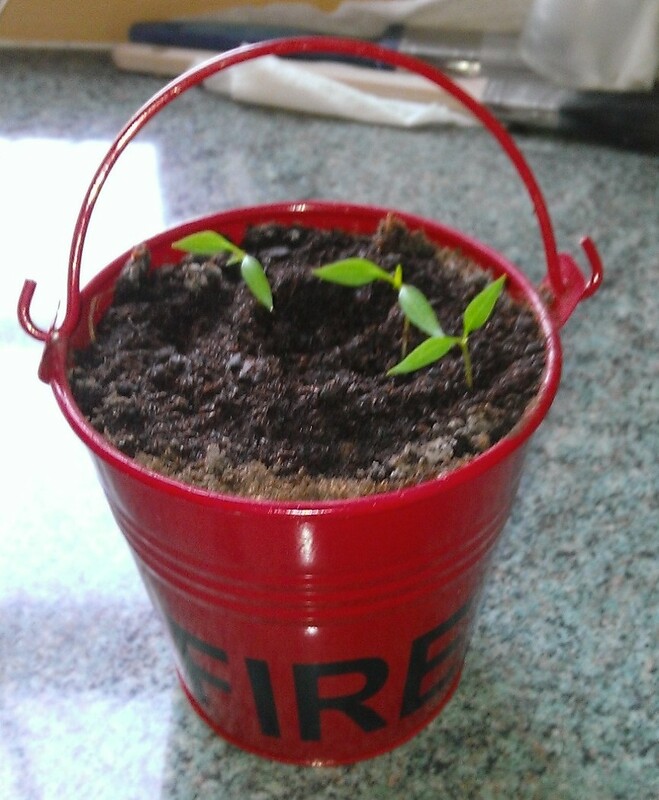 Jamie couldn’t take his chilli seeds to Ghana, so I planted them here a week ago, and they have now sprouted. 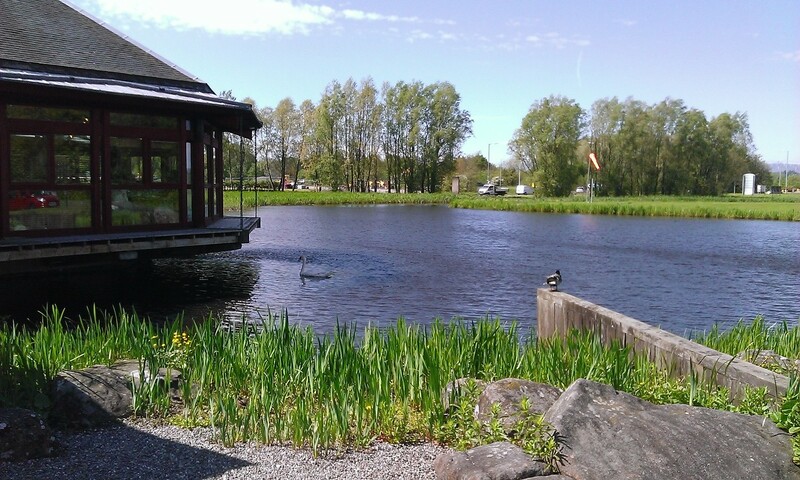 On Friday we drove Lindsey’s Mum to Stirling for lunch with her relatives at the River House Restaurant. 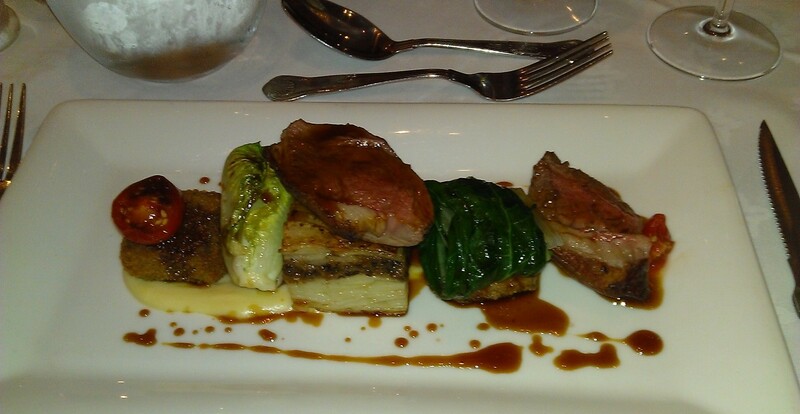 The River House is a nice restaurant in a picturesque setting on the outskirts of Stirling. Shaun appeared on Friday evening, back from Aberdeen for the weekend, and on Saturday the three of us played golf up the road at Portobello Golf Course. Shaun’s clubs were too small for him – at least, that was the reason he gave for taking so many freshies. 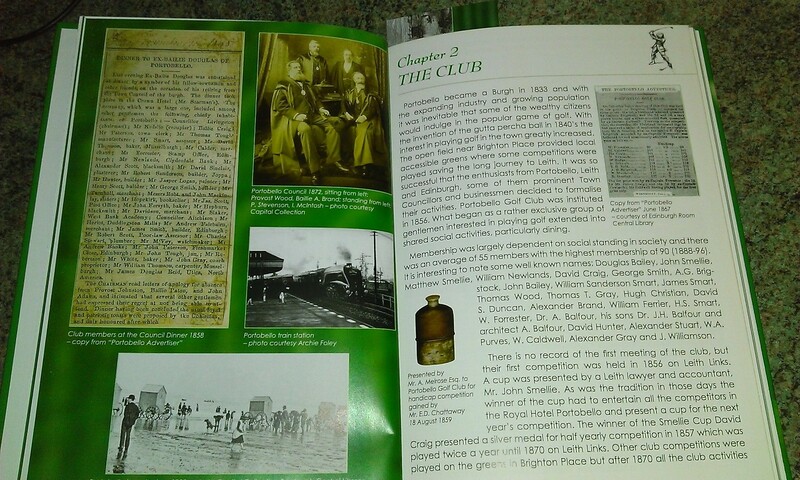 While we were waiting to tee off, a chap (I think he may be Czeslaw Kruk) came up to us, spoke for a while and then gave me a book: 155 years of Golf in Portobello, ISBN: 978-83-926305-0-0 That was very nice of him. I’ll read it with interest, as it also covers other bits of Portobello history, and there’s even an old photo of a tram going down Portobello High Street. Newark Castle is situated about 6km west of Selkirk. You can see it from the walk up to The Three Brethren, which we did a couple of weeks ago. 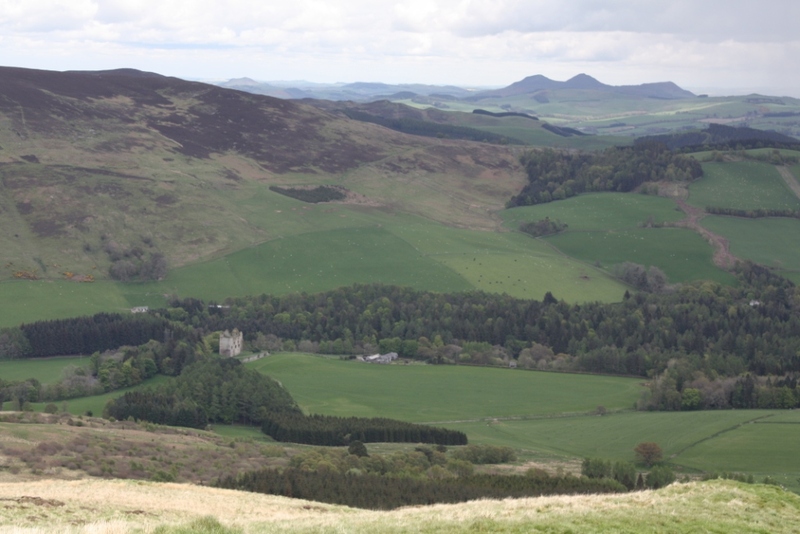 If you start from the castle, walk west along the road and then head up into the plantation you’ll find yourself on Duchess’s Drive, which leads up to Newark Hill, on top of which there is a cairn. 15kms to the east are the Eildon Hills. 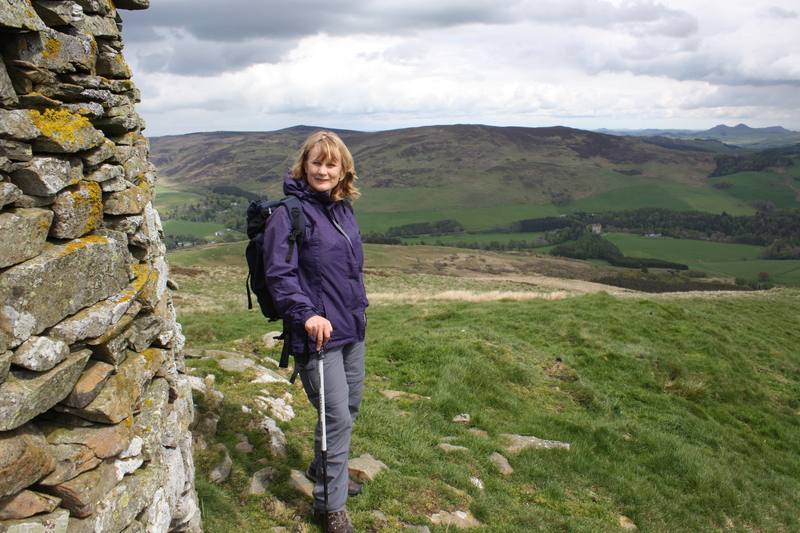 You can continue to follow the track to the top of Fastheugh Hill (501m), and then turn eastward through the forrest, coming out at Harewood Glen. A good walk. 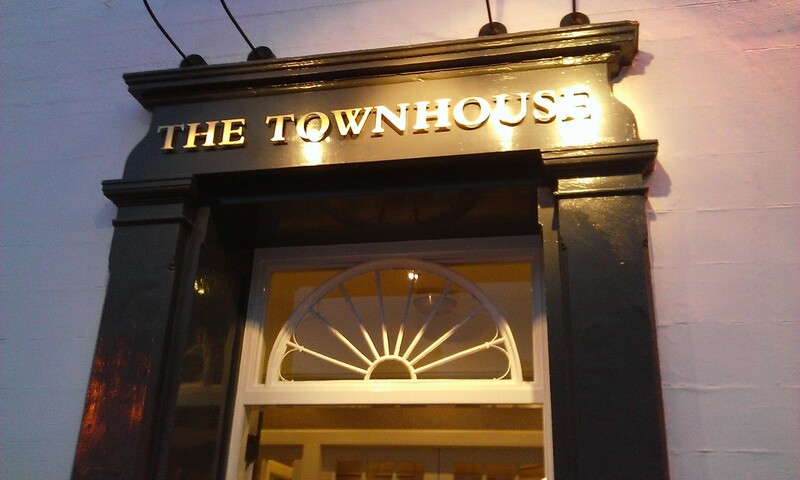 We enjoyed a very good meal at The Townhouse, in Melrose, on Saturday evening. 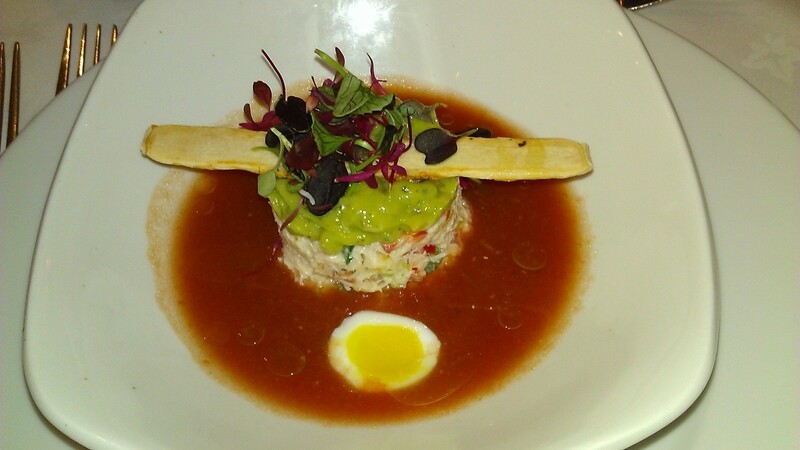 What a nice place Melrose is, with interesting shops, several good restaurants, and of course the Abbey. After the meal we watched the Eurovision Song Contest on a 5″ screen in the campervan.